Christoph Prégardien, tenor, is one of the most important artists of our time, not only because of his accomplishments as a lyric tenor, but also due to his work as a pedagogue, enthusiastic chamber musician, and creator of new and exciting projects. His vast experience singing the Evangelist in Bach’s passions and his intense collaboration with conductors such as Kent Nagano, Riccardo Chailly, Philippe Herreweghe, Nikolaus Harnoncourt, Fabio Luisi, and John Eliot Gardiner are the perfect prerequisites for him to approach the repertoire for the first time as a conductor. 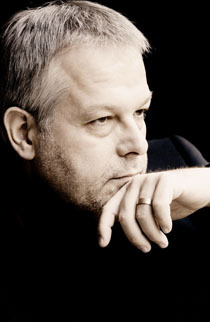 In early 2012, Christoph Prégardien conducted the Ensemble Le Concert Lorrain and the Nederlands Kamerkoor in J. S. Bach’s “St. John Passion” on a European tour with performances in Oslo, Vienna, Warsaw, Luxembourg, Amsterdam, Brussels, Bologna, Lucerne, and Paris. Especially revered as a Lieder singer, Christoph Prégardien can be heard this season in London (Wigmore Hall), De Singel Antwerp and the Schubertiade Schwarzenberg. He appears regularly with renowned orchestras the world over, including the Berlin and Vienna Philharmonics, Bavarian Radio Symphony, Amsterdam Concertgebouw Orchestra, Staatskapelle Dresden, Gewandhausorchester Leipzig, National Orchestra of Spain, London’s Philharmonia Orchestra, the Philharmonie de Radio France, as well as the Boston, St. Louis, Montreal and San Francisco Symphonies. His vast orchestral repertoire includes the great baroque, classical and romantic oratorios and passions, as well as works from the 17th (Monteverdi, Purcell, Schütz) and 20th centuries (Britten, Killmayer, Rihm, Stravinsky). Much of Mr Prégardien’s repertoire has been recorded on the BMG, EMI, DG, Philips, Sony, Erato and Teldec labels. His discography numbers over 130 titles, many of which have been awarded international prizes and his celebrated recordings of German romantic song have won the Orphée d’Or of the Académie du Disque Lyrique, as well as the Prix Georg Solti, German Record Critics’ Prize, Edison Award, Cannes Classical Award and the Diapason d’Or, to name but a few. Christoph Prégardien recently forged a long-term collaboration with the Dutch label Challenge Classics; their first recordings of Schubert’s “Die schöne Müllerin” (accompanied by Michael Gees) which was highly praised as “Best of the Year” in Gramophone and was honoured at MIDEM 2009 as both Record and Vocal Recital of the Year. Subsequently the label issued a recording of songs by Schubert, Mahler, Wolf, Loewe, and others entitled “Between Life and Death” (again with Mr Gees at the piano). Most recently (fall 2010), his recording of Hugo Wolf’s “Italienisches Liederbuch” with soprano Julia Kleiter and pianist Hilko Dumno was released. Teaching remains a very important part of Christoph Prégardien’s musical life. From 2000 to 2005 he taught at the Hochschule für Musik und Theater in Zurich. Since 2004, he has been a professor at the Academy of Music in Cologne. As part of Schott’s “Master Class” series, he published an innovative multi-media DVD/book addressing vocal technique and musical interpretation.